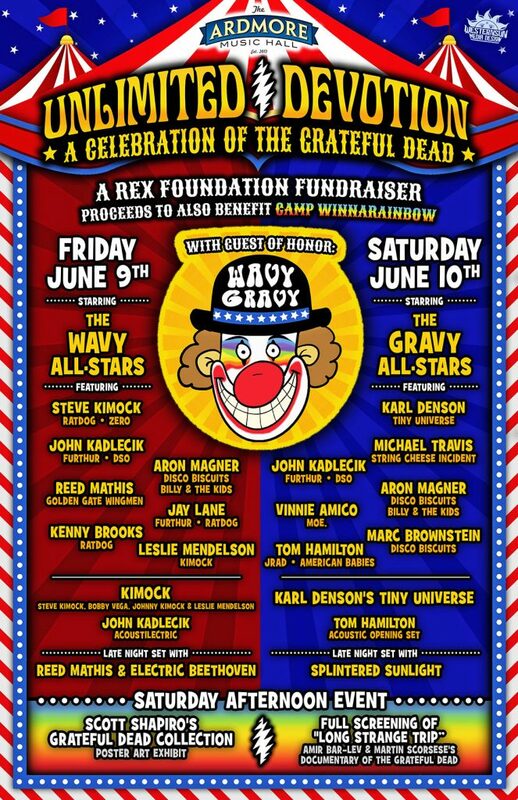 Ardmore Music Hall will host a massive 2-night fundraiser and concert event, June 9-10, with iconic social activist and “official clown” of the Grateful Dead, Wavy Gravy as the guest of honor and a star studded lineup of musicians to celebrate the music of the Grateful Dead and much more. Unlimited Devotion: A Rex Foundation fundraiser will include performances by Karl Denson’s Tiny Universe, Steve Kimock, John Kadlecik, members of The String Cheese Incident + The Disco Biscuits + Moe., and many more. 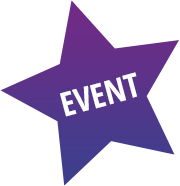 The weekend festivities also include an extraordinary concert poster art exhibit, screening of the Dead documentary Long Strange Trip, and VIP experiences. Proceeds from the weekend will benefit the Rex Foundation, founded by the Grateful Dead, and Camp Winnarainbow, Wavy Gravy’s summer camp for kids.